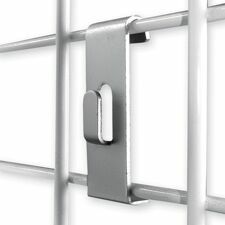 Gridwall Picture Hook holds any frame, poster, photos, pictures. Price: $0.40ea Item #: GWPH Colors: chrome, black, chrome. Standard Pack: 100pcs (any quantity can be ordered, broken box fee will apply).